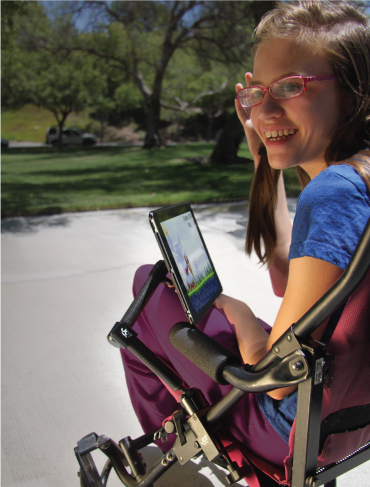 Users will experience the magic of using assistive technology without having to hold up their device. Those who use the tablet for long periods of time can now do so with limited fatigue and with better posture. Designed from the suggestions of wheelchair users, Wheelchair Mount’s double-armed design adjusts to a wide variety of angles and can fold away when not in use. 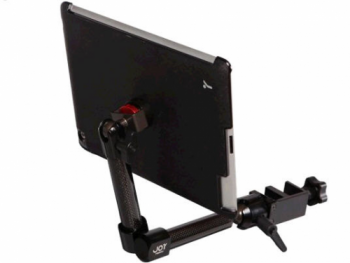 For those who need added protection while mounting their iPad to a wheelchair, the aXtion Pro case is the ideal solution. This case is military-grade shockproof, completely waterproof, and features a heavy-duty, built-in screen protector. 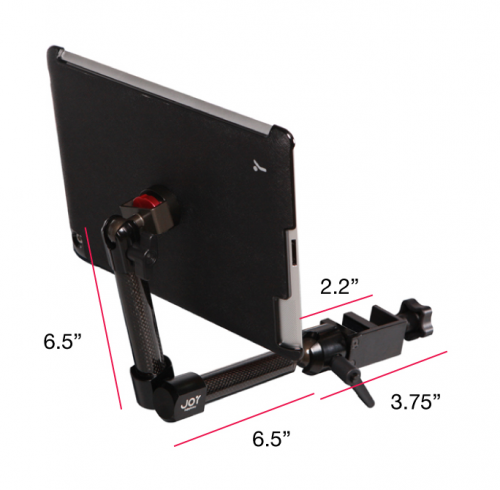 This case attaches easily to the Wheelchair Mount so users can interact with their favorite apps safely and conveniently. Clamp Size: Fits flat surfaces up to 1 5/8" and round surfaces from 11/32" to 1 5/8"